Purveyors of quality French wines and fine cuisine set amid a unique cellar setting in Falmouth's old high street. Relax by the piano with a bottle of something amazing! Alongside our extensive selection of wines and delicious food, we like to have lots of fun! So click below for a list of all the upcoming events and offers. 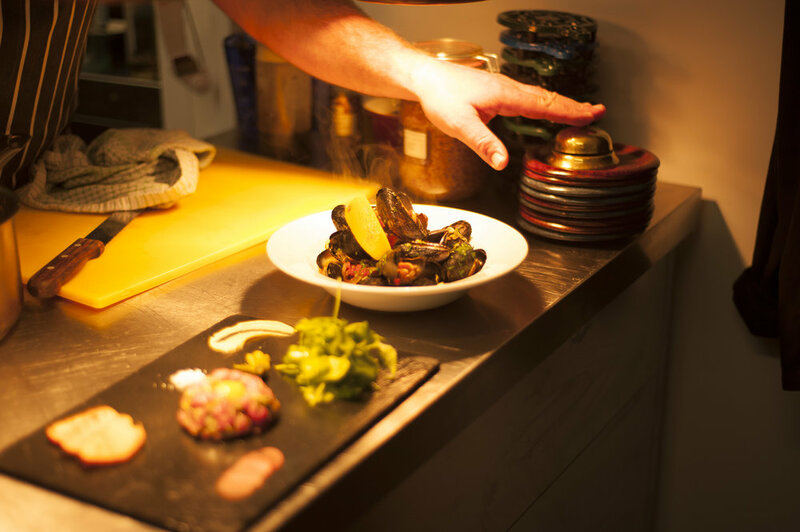 We provide freshly prepared, beautiful French cuisine alongside a large selection of fantastic wines. 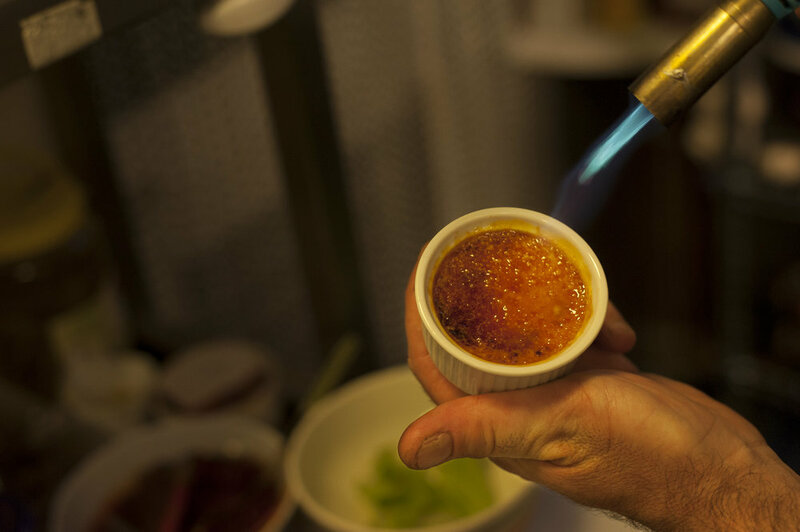 Our menu changes with the seasons yet remains consistently true to the French values of cooking. Simplistic and Innovative food that excites the pallet and the soul. There is a reason that the French are revered for their food and this is why we love it so much. We simply can't wait to share our passion (and menu) with you. Let's not forget that La Cave is a wine bar! We stock over seventy different types of wine sourced from all over France. Be it red, white or rosé. To be paired with meat, fish or to be tasted on it's own, we will have the perfect wine for you. We keep our cellars well stocked and are incredibly proud of our wine selection. The Old High Street in Falmouth has a rich history. The ambient space of La Cave has been host to restaurants for nearly a hundred years. Previous to its dining heritage it was used as a store, for the delicatessen that occupied the building above and most famously as Powell's cheese and wine store. Our Landlord Pepe ran a Tapas Restaurant here for over 15 years and now retired, makes guest appearances during our special 'Pepe Tapas Nights'. With over a hundred years of history, fine food and wine are still the mainstay of this beautifully unique space. Andy and Freyja set out to create La Cave having been inspired by their many trips to France. Sailing from Falmouth in the summer months and often taking trips over the channel, they have also spent the winters working in the French Alps. Andy and Freyja have previously run Restaurants in Cornwall and Ireland. 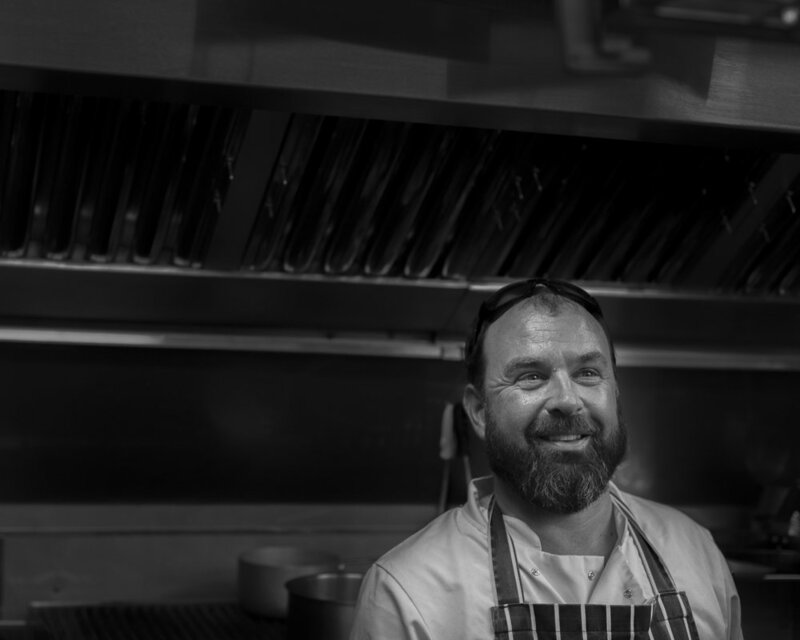 Andy toiling over the hobs in some of the finest kitchens and Freyja serving guests to the highest of standards. Between them they bring an incredible alacrity and vision to make for one of the best dining experiences in the County. It's a simple ethos but one that we think is incredibly important. This is why at La Cave you are always welcome to enjoy yourself in this beautiful place, surrounded by live music and fantastic people. We aim to be accessible for all budgets and occasions. Pop in for a just a drink and/or some Fromages et Charcuterie or perhaps a huge bowl of Moules et Frites OR splurge on a Gastronomic French feast and Fine Wines... the choice is yours!